After a spectacular performance at the Royal Opera House and their final Grand Défilé, our 3rd Year students graduated from the School. 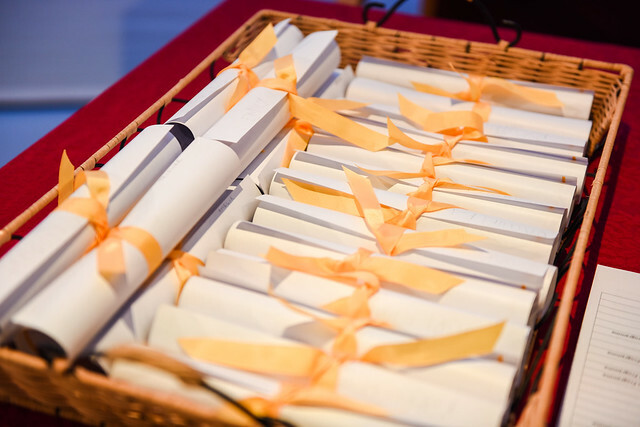 On Sunday 8 July, parents, family and friends gathered in the Linden Studio Theatre for the graduation ceremony. Christopher Powney, Artistic Director, introduced the students and gave them some parting words of advice. The Duchess of Wellington, our Chairman, then addressed the students before Kevin O'Hare, Artistic Director of the Royal Ballet, presented them with with their certificates. There were several special awards presented to students which recognised their efforts and achievements during their time at the School. We wish all our graduates every success in their future careers. See the full list of graduates and the companies they will be joining. The Ashton Award for the graduating student who has shown leadership qualities and demonstrated good citizenship during their time at the School. Kindly sponsored by Robert Kimber and presented by Christopher Nourse (Executive Director of the Frederick Ashton Foundation). The David Norman Award for the graduating student who has shown leadership qualities and demonstrated good citizenship during their time at the School. Kindly presented by Geoffrey Smith. The Worshipful Company of Gold and Silver Wyre Drawers Award for the male graduate who has made the most progress in classical ballet training during his time at the School. Kindly presented by the Master, John Walsham. The Worshipful Company of Gold and Silver Wyre Drawers Award for the female graduate who has made the most progress in classical ballet training during his time at the School. Kindly presented by the Master, John Walsham. 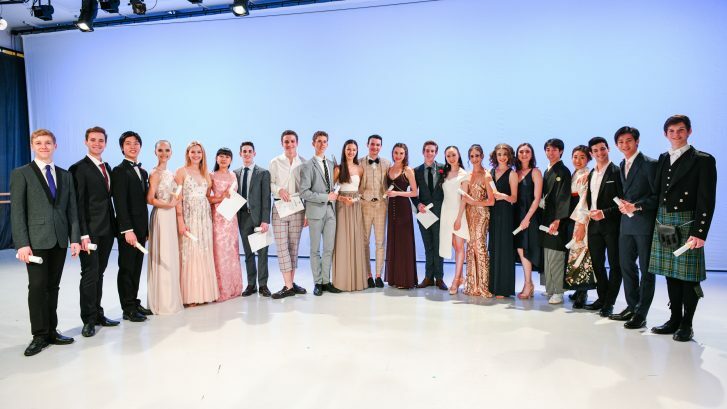 The London Ballet Circle Dame Ninette Award for the most outstanding male graduate of The Royal Ballet School 2018. Kindly presented by Michael Broderick, Associate Vice President of The London Ballet Circle.